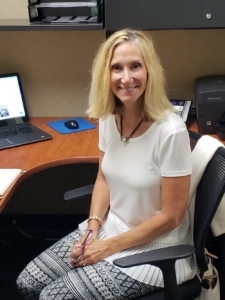 As a Financial Aid Specialist, Tracy manages and verifies all incoming client tax information and is responsible for uploading it to the ACP database for submission to the FAFSA, CSS Profile, and IDOC. Tracy has a diverse knowledge base with a Bachelor of Science Degree in Business Administration from UCONN, 15 years of insurance and pharmaceutical sales experience, and almost 10 years of experience working in the Wethersfield and Rocky Hill school systems. She is a valuable member of the ACP team, here to help families through this challenging yet exciting time. Tracy resides in Wethersfield, CT with her husband Chris, two teenage children and their puppy, Cooper.